Quirky NY Chick: Video: Bill & Murray - "Bored"
Tel-Aviv trio Bill & Murray recently released a video for their track "Bored". The track is from their album A New Kind of High. Bill & Murray started as an experimental collaboration between David Blau (guitar and vocals) and Stella Gotshtein (keyboard and vocals). They quickly turned into an active, performing and recording band, with Ran Jacobovitz joining the lineup on drums in 2013. 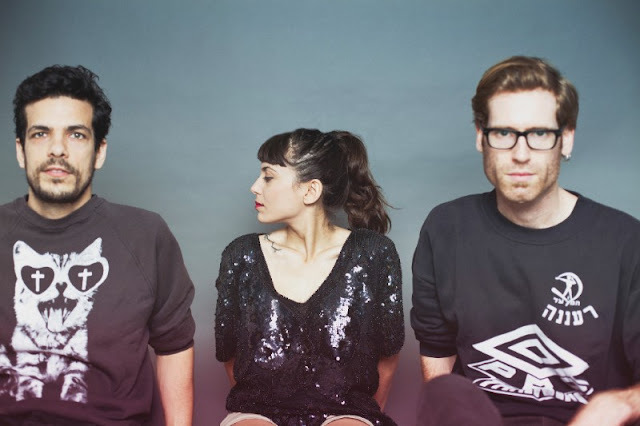 In the past 3 years, the trio has performed all over Israel, participated in international music festivals in North America and Europe, touring in East European and has had the pleasure of being chosen to be the opening act for legendary synth pop artist, Gary Numan. A New Kind of High was written, performed, produced, recorded and mixed by Gotshtein and Blau over the course of two years and mastered by JJ Golden (Devendra Banhart, Calexico).